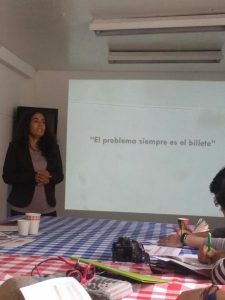 So far we haven’t been successful to find foundations that would support the Cine-Comunidad project of our partner POPULUS financially. Although everyone finds it nice and meaningful, it would still not rank high enough on their priority list to receive funding. Which is obviously sad because this project can help substantially to build up a functioning democratic society by giving those people a voice who are at the end of the power chain. Especially after the endless period of civil war this kind of civil involvement is dearly needed in Colombia. What happens when state building mechanisms are neglected can currently be seen at too many other countries. Nevertheless, money is not everything. Just as important should it be to gain a network. 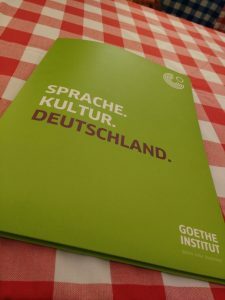 Therefore we are happy that we were able to connect POPULUS with the Goethe Institute in Bogotá. Last month they were invited to participate in a communication workshop at the Institute. 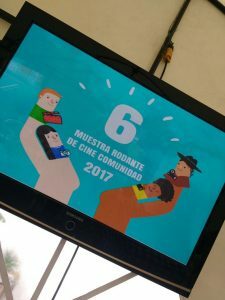 Their Cine-Comunidad project received very positive feedbacks and we will see if this can lead to more support or cooperation. 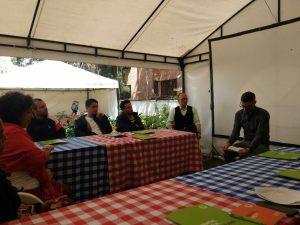 We thank gratefully Mr Hilmar Hoffman who is the former president of the Goethe Institute and who gave us the advice to get in touch with the Institute in Bogotá. I guess his name opened doors! Dieser Beitrag wurde unter Allgemein abgelegt am 24. August 2017 von kajo. Verein Weltweit - Gesellschaft zur Förderung lokaler Initiativen e.V. Weltweit - Gesellschaft zur Förderung lokaler Initiativen e.V.